This little plastic drawer cart contains all of my 2.5" batik strips. I have been cutting them off any batik I'm currently working with for about 6 years. The top 3 drawers are one layer deep and the bottom 2 are 2 layers. I estimate there are probably 1000 strips although I have never counted them. I have pulled all of the blues for my 16 patch quilt (108 strips) and my warm color 16 patch (73 strips). Last night I pulled 53 green strips and there are still this many left in there. I think I will revise my estimate to exceed 2000 strips. I finished reading a John Grisham book yesterday, worked a little on the bark path through my garden, did laundry, and then just wanted some mindless sewing. I started my green 16 patch. I just didn't feel like working on a current in progress project. That's a really impressive collection of batiks, Wanda! Ah he, mindless sewing and disinterest in the current project. I know that syndrome well! It's all about going with the though and we do finish them all eventually. You're much quicker than me though! 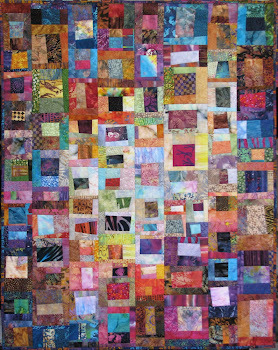 You've got lots of quilts left in those drawers. Wow....that is a lot of strips just waiting to me made into something amazing. LOVE those greens! I can't wait to see more! That is a lot of strips. It is good that you have them all organized. That would make a lot of jelly rolls!!!! I'll be over tomorrow to relieve you of those strips. That's fabric gold! I'm a big fan of mindless sewing. The strip collection is so inviting! what a great idea. would love your strip drawers! Wanda, you are 'THE' professional organizer. And your post today again proves it. 2,000 strips to have ready and waiting for you to work with... unbelievable. 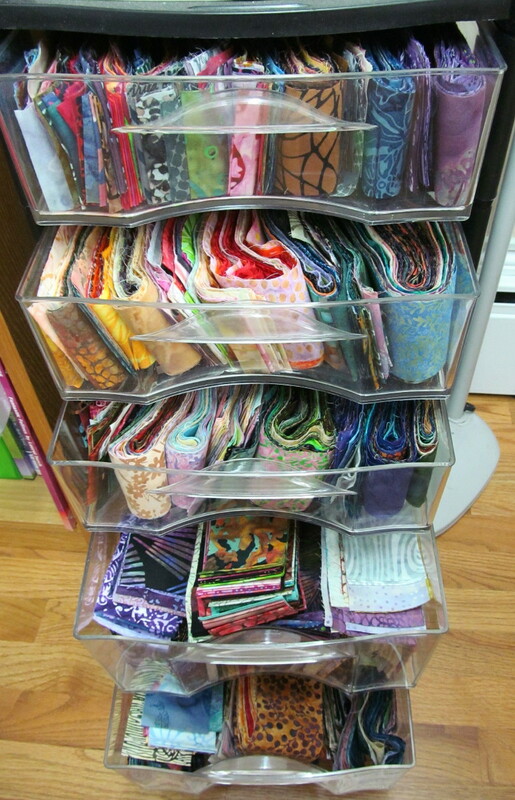 What a wonderful photo of all your batik strips......wow.....6 years worth! It has to be like shopping in your own store when you're making your 16 patch blocks! Ha! And I thought I had a lot of batik strips. What fun it must be to go shopping in your stash! 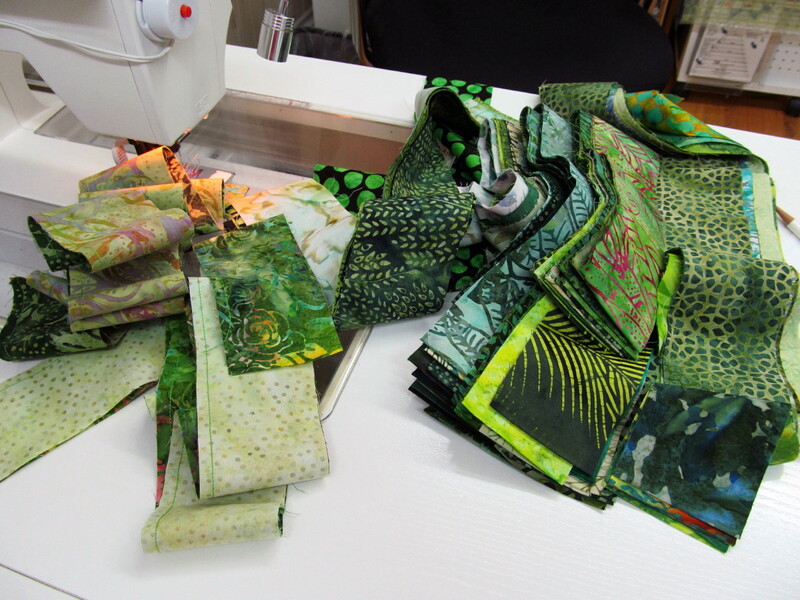 What a lot of batik strips! Looking forward to seeing the finished 16patch in green. After following your blog for a while, and watching you produce numerous beautiful and colourful quilts, I have often wondered what your fabric stash is like. Fabulous! That is a lot of batik strips. Very beautiful. 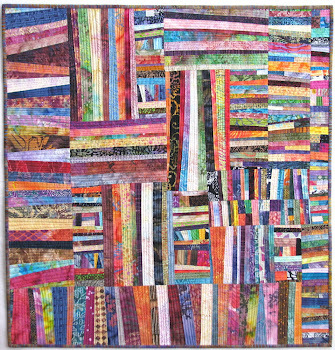 I love it when you 'play' you always come up with amazing quilts!